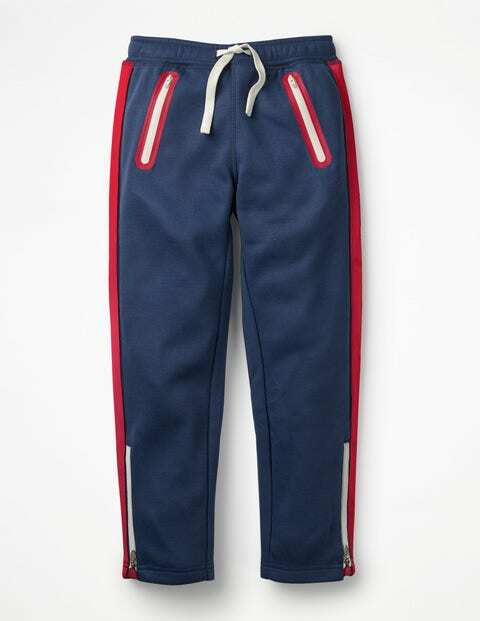 Footie games on frosty mornings are a walk in the park with our thermal fabric track pants. Your legs will stay toasty thanks to the thick, fleecy fabric and look ready for action with the sporty side stripes. When it's your turn to come on to the pitch, hidden zips make it easy to slip them off over your trainers.